Kendrick Lamar's labelmate and R&B sensation SZA joins him on his Championship Tour stop in Washington. Kendrick Lamar can do no wrong. Over his four exceptional albums, the Los Angeles emcee has become a vital creative force and bar for bar the best rapper going. As he preps for a possible Grammy Awards coup next weekend, Lamar announced Monday a sweeping North American tour that comes to the White River Amphitheatre on May 5. The so-called Championship Tour serves as a showcase for Lamar’s Top Dawg Entertainment (TDE) label, which carries enough heavyweights to justify the tour’s confident title. The Auburn date is just the second on the 29-show tour, which kicks off the night before in Vancouver. Alongside Lamar, future R&B sensation SZA, Schoolboy Q — TDE’s No. 2 under King Kendrick, at least before SZA’s 2017 breakout — Jay Rock, SiR, Ab-Soul and others are slated to perform. The following night the tour hits Sunlight Supply Amphitheater in Ridgefield, Wash.
Tickets for the White River show range from $35 to $125, with a 10 a.m. Thursday Live Nation presale ahead of the 10 a.m. Friday public on-sale date. Whether or not TDE’s first lady brings home a trophy, the sultry R&B star is set to perform during Sunday’s show, held at Madison Square Garden. 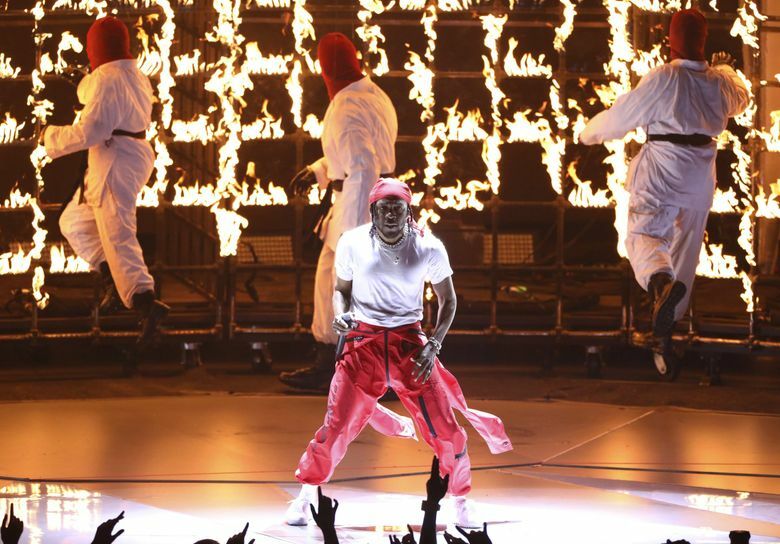 Last summer Lamar delivered an intense 80-minute set at a sold-out Tacoma Dome.